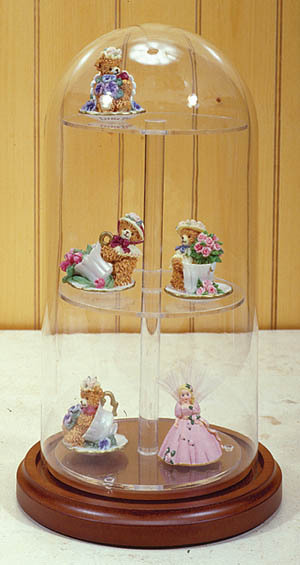 This attractive 5" x 10-3/8" high glass platform dome has 3 shelves and is the perfect solution for displaying your tiny collectibles. Perfect for Swarovski Crystal miniatures, small geodes, collectible cuff links, or anything small that you'd like to display and keep protected. Shelf spacing is just under 4". Available with walnut finish base.